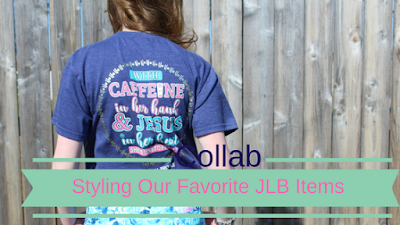 Today I am collaborating with five fabulous girls to share with you how we style our favorite item out of our most recent rep package! All of us rep for Jadelynn Brooke and you can use my code SLMHS for 15% off any purchase made on their website. 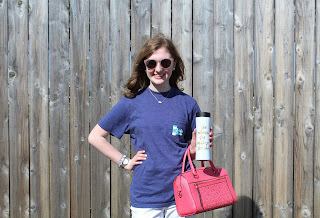 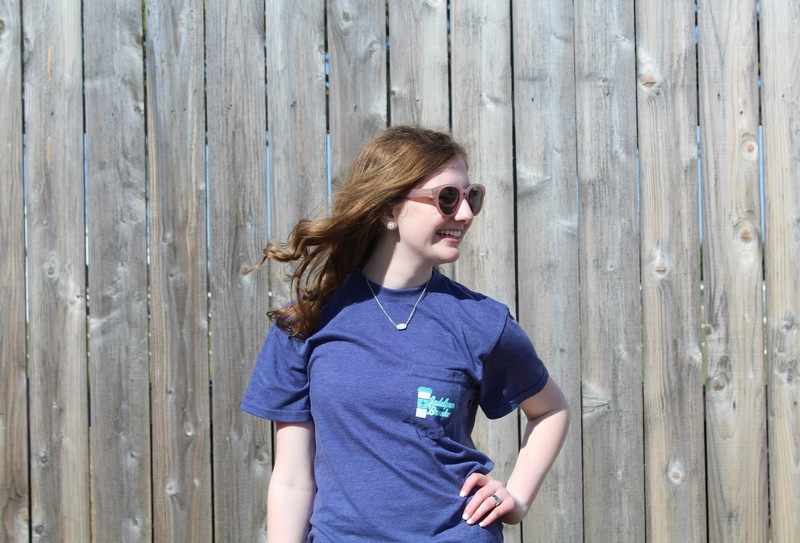 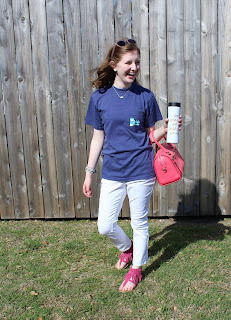 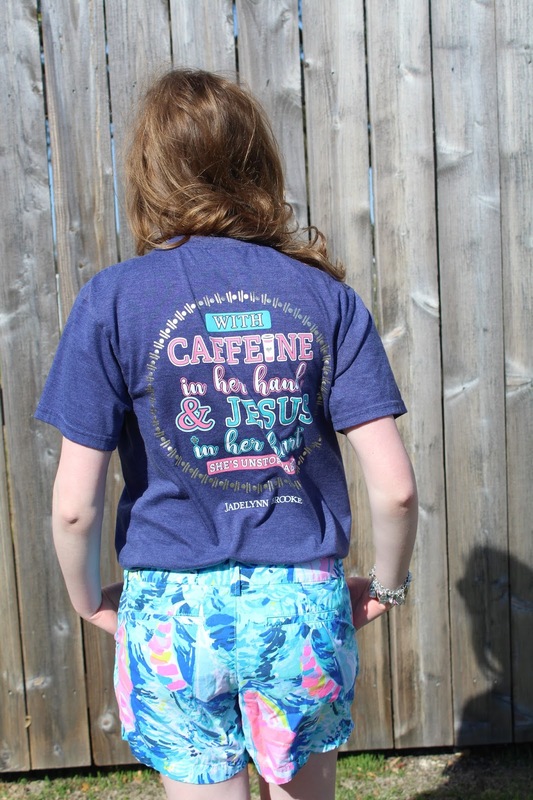 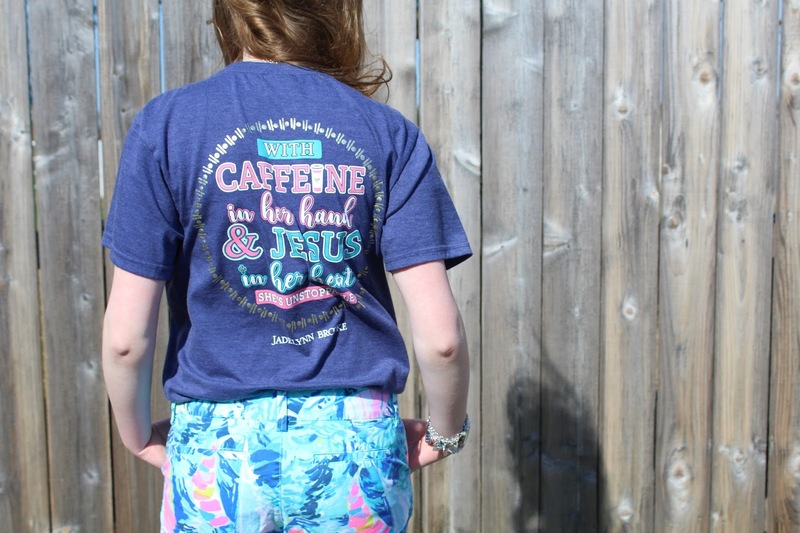 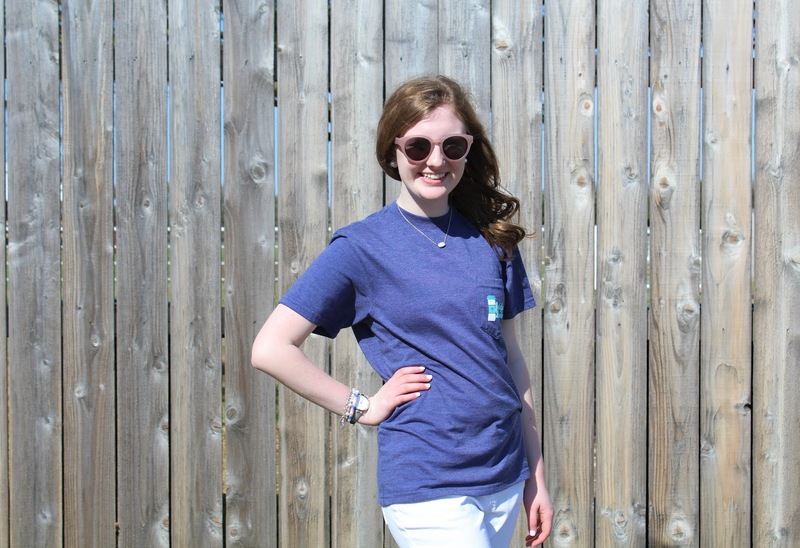 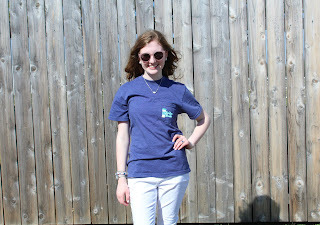 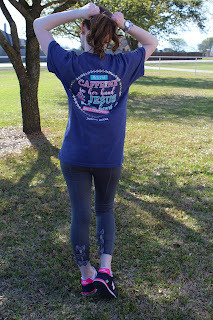 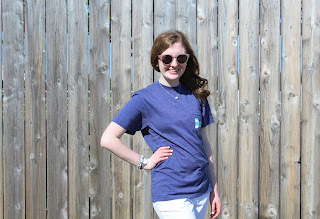 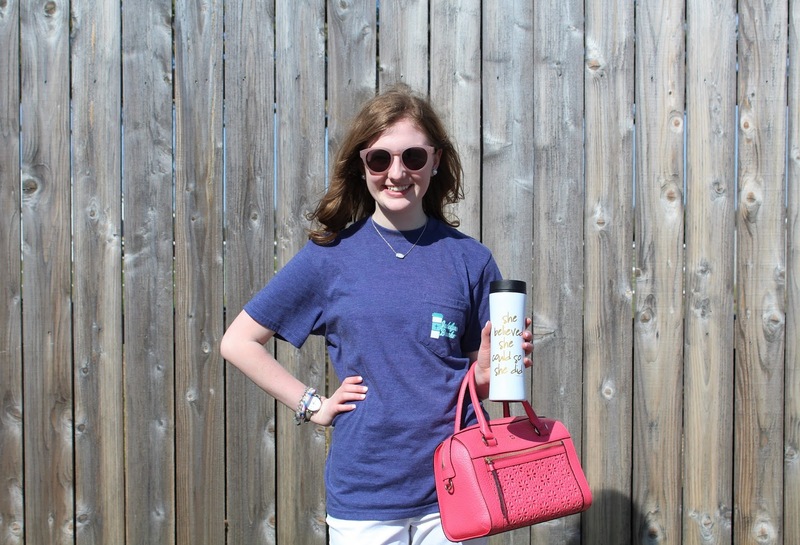 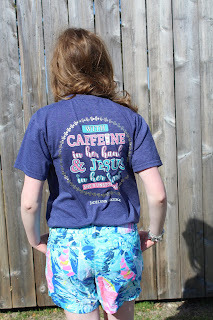 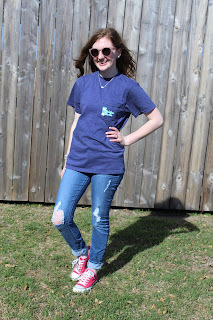 I am showing you how I style the Caffeine and Jesus shirt! Look One: I love wearing tee shirts but I also get tired of just pairing them with jeans and tennis shoes. 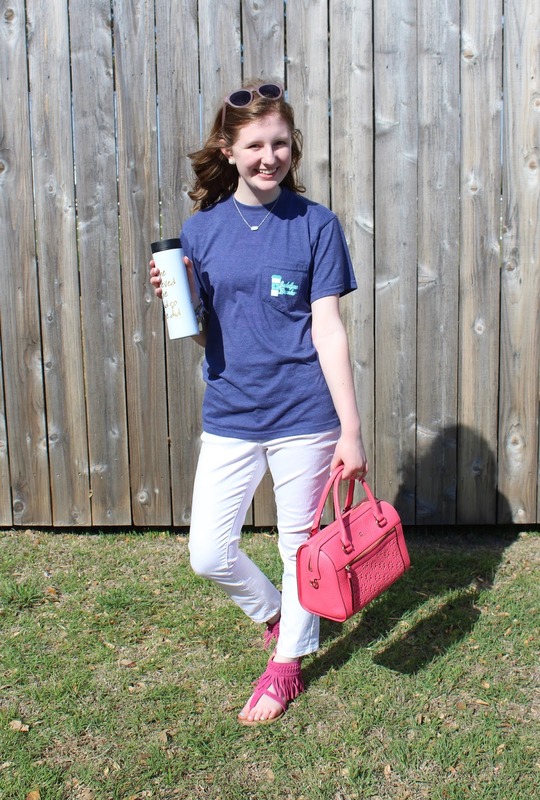 These white jeans and pink fringe sandals make you look cute and a little bit more put together while still being comfortable. 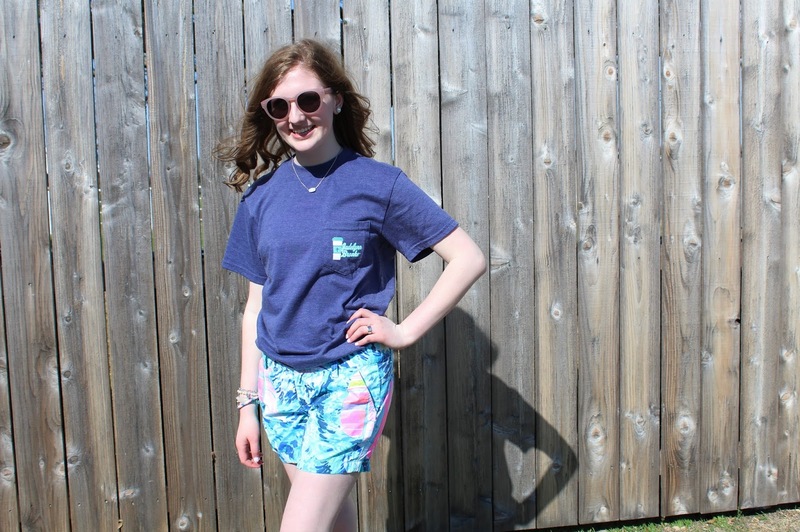 Look Two: I know most people are going on spring break soon and this look is perfect for traveling. 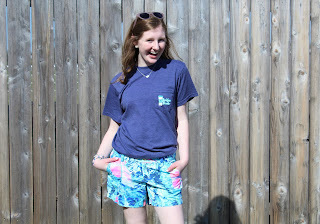 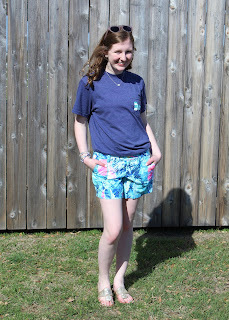 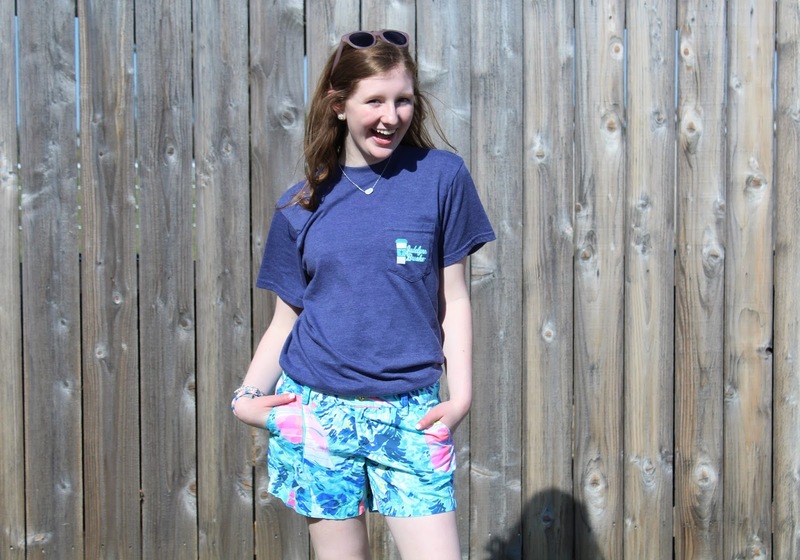 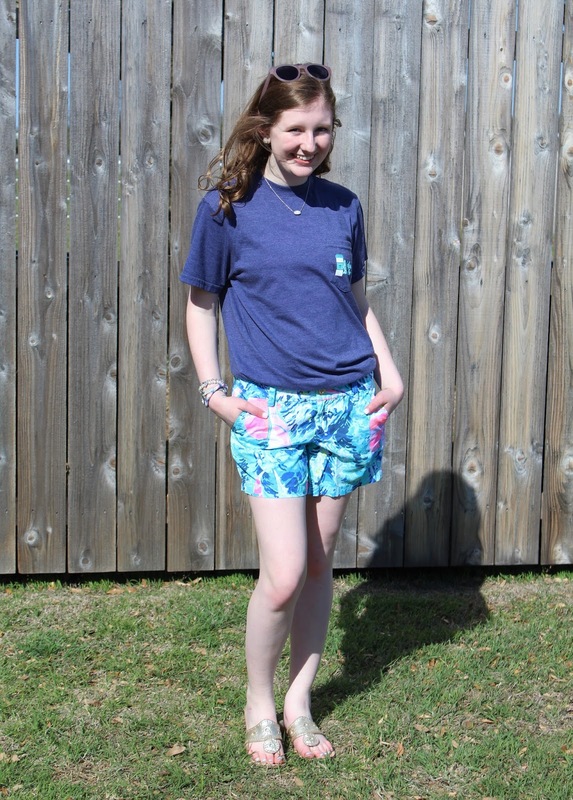 I paired my Jadelynn Brooke shirt with these Lilly Pulitzer Callahan shorts and Jack Rogers sandals. 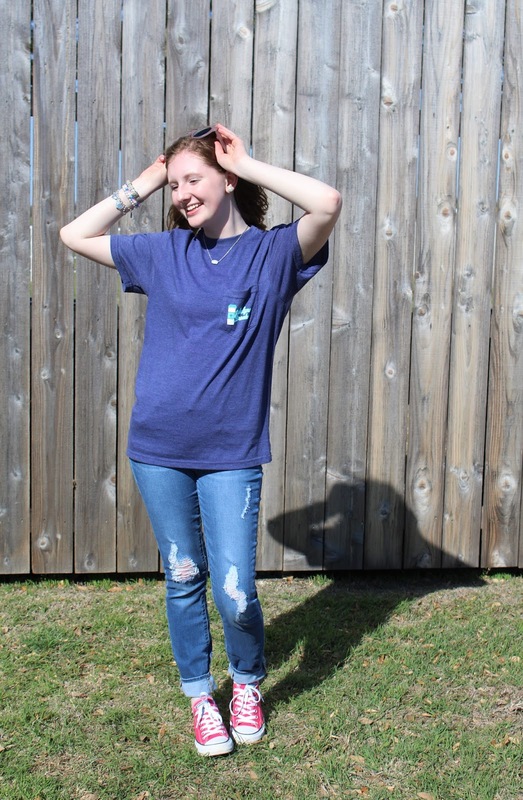 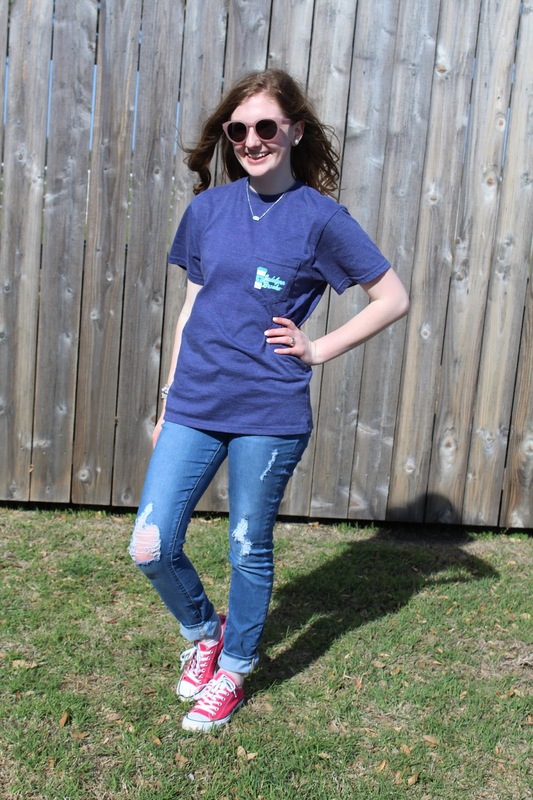 Look Three: Perfect for a casual day at school these ripped jeans and pink Converse are a fun way to style this tee. 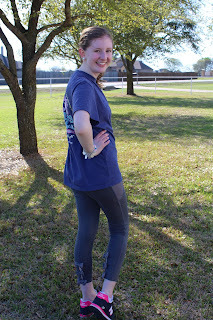 Look Four: If you like to work out this is the look for you. 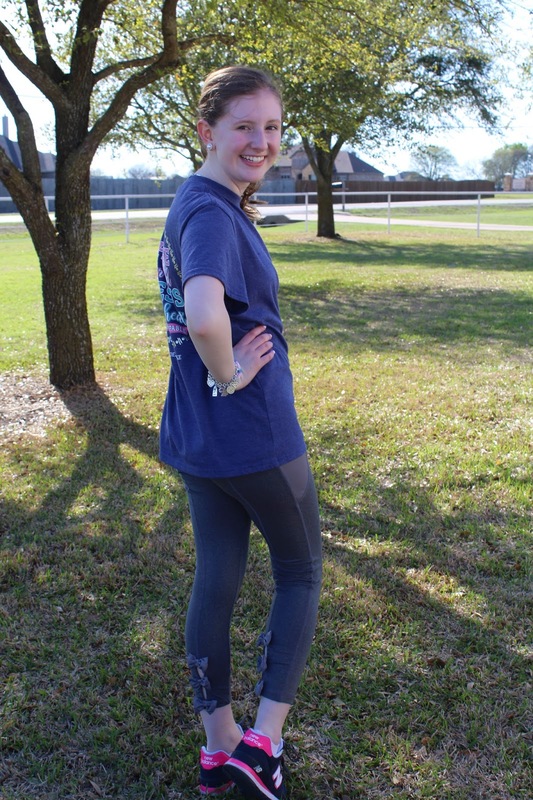 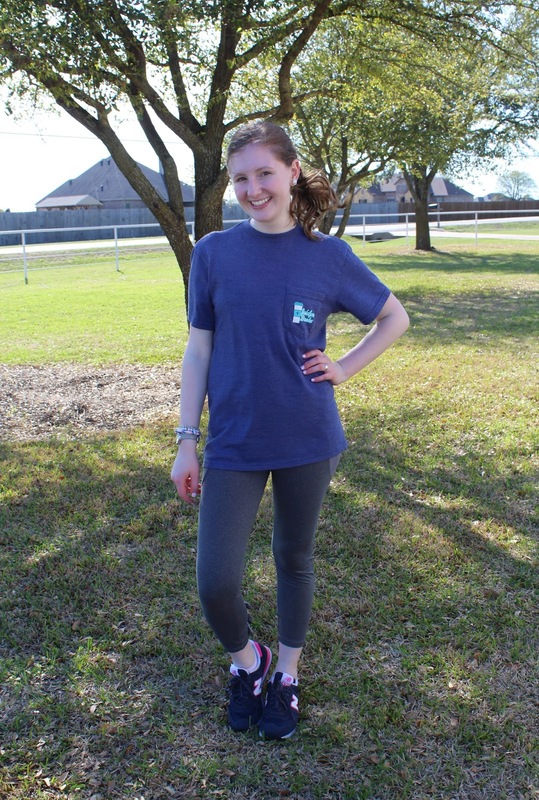 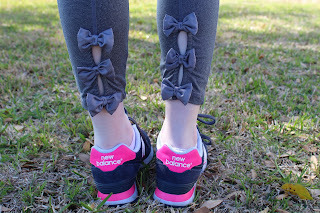 I paired my Jadelynn Brooke shirt with my favorite JLB gray bow back leggings and my navy and pink New Balance tennis shoes. 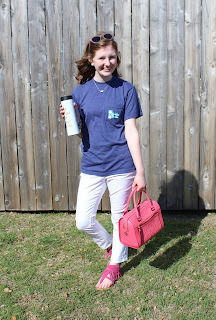 So those are the four ways I style this Jadelynn Brooke shirt! 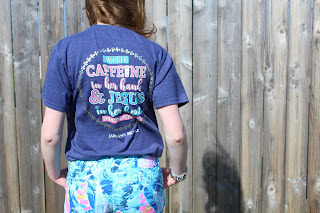 You can shop this shirt here and make sure you read the other girls' posts to get an idea of how to style other Jadelynn Brooke items!